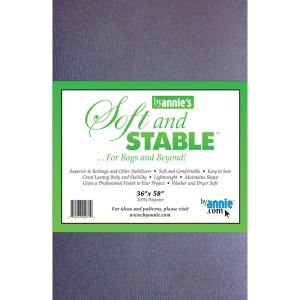 ByAnnie's Soft and Stable is a stabilizer specifically designed for bags - superior to other battings and stablilizers when used in bag making, it maintains the shape of the bag and gives a professional finish to your project. ByAnnie's Soft and Stable is soft and comfortable, while being easy to sew and giving great lasting body and stability to your bags. It is also washer and dryer safe. 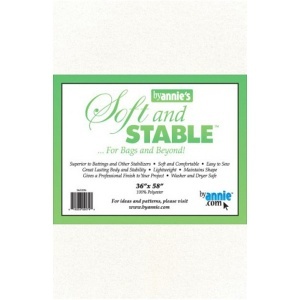 Please click on a By Annie Soft and Stable product for more details.